Back in October 2012, I have been invited by HP to preview their range of Windows 8 devices. The ENVY x2 stands out to me. 6 months later, I finally received a review unit to re-impress me. Brushed aluminium body feels sleek and stylish. Hybrid laptop: I can detach the keyboard and use it like a tablet. The tablet top does not have any unsightly connectors except the bottom where the microSD card slot, headphone jack and charging dock are positioned. I like it this way: while some consumers would prefer the regular ports to be built on top so that they can use them without the dock, I beg to differ, because when and if I need the ports, I would always use it with the dock. After all, the idea of using in the tablet mode is to interact with the device with minimal hassle. The keyboard dock comes with full-sized USB, SD and HDMI ports, making it a complete ultrabook. Package also comes with HDMI-to-VGA adapter. The volume and power buttons are flushed along with the surface. Does not run as hot as the higher-powered Intel multi-core processors. Long battery life thanks to dual batteries. Crystal clear audio, though it completely lacks bass. Comes with front and rear cameras with LED flash light. The IPS display is extremely bright. Windows 8 runs really snappily even on such a low-speced processor. It doesn’t feel sluggish at all. It is difficult to open up the lid with one hand. When docked, the ENVY x2 is top-heavy, and tends to fall backwards. The corners of the protruding hinge of the keyboard dock is not rounded and may make you feel uncomfortable if the ENVY x2 rests on your legs. Long charge times to fill up the keyboard and tablet batteries. Rear camera, while capturing in 8 megapixels, is not on par with smartphone cameras like the Samsung Galaxy S3. Images exhibit higher noise and more digital artifacts. It is unavoidable that with such a low-speced processor, many demanding software do not perform up to speed. 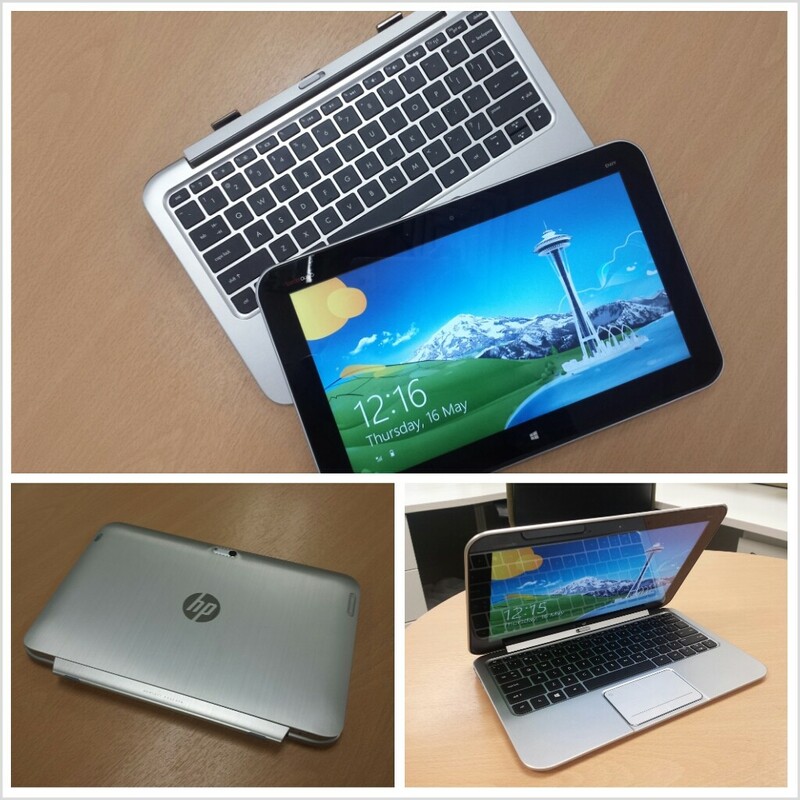 The HP ENVY x2 is a great looking Windows 8 hybrid ultrabook. Unlike other hybrid laptops, the ENVY x2 comes complete with the keyboard dock, which explains why most of the ports are positioned at the dock. Given its processor spec and the price, you really shouldn’t run heavy software, although still you can, unlike other mobile OSes. Surprisingly, the Windows 8 interface itself performs really fast and web browsing or document processing is certainly not an issue. If you need a compact tablet-laptop that outlasts the day while you perform word processing, content browsing and some gaming, the HP ENVY x2 is one good-looking ultrabook to get.